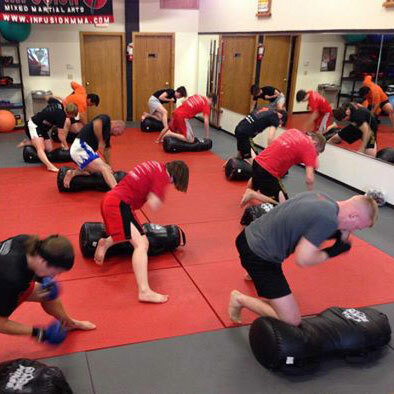 Infusion Martial Arts and Fitness has been offering instruction and training in leadership, self-defense and mixed martial arts since 2006. Owned and operated by Master Brandon Tracy, 5th degree "American Freestyle" Black Belt and law enforcement consultant, Infusion Mixed Martial Arts (IMMA) offers numerous programs for physical fitness, mental well-being, and instruction in mixed martial arts. With over 30 years of experience as a martial artist, Master Tracy brings together various philosophies and techniques from, Kempo Go Ju, Judo, traditional Tae Kwon Do, Sport Karate, and now Muay Thai, Brazilian Jiu Jitsu, Law Enforcement Survival Tactics, and Leadership Training under one style: "Infusion Mixed Martial Arts"!